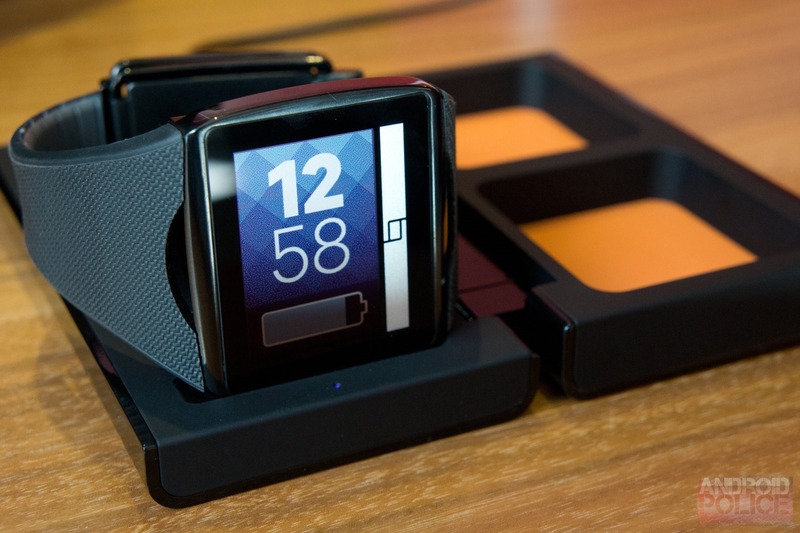 If you thought the Galaxy Gear was priced poorly, wait till you see Qualcomm's in-house alternative. In a press release issued Monday morning the monster chip supplier announced that its unique Toq smartwatch would be available starting December 2nd, AKA "Cyber Monday," from toq.qualcomm.com. The price? A wallet-straining $349.99, fifty bucks more than Samsung's watch and about twice the price of more budget-focused alternatives like Pebble. The Toq will only be sold in the US. Of course, it's worth considering that the Toq (pronounced "talk," because they say so that's why) is not really intended to compete as a mass-market device. The watch is a platform for Qualcomm to show off some of its more forward-looking mobile technologies, most notably the Mirasol screen and WiPower wireless charging standard. The former is an e-ink competitor that boasts color images, better sunlight visibility, and a fast refresh rate while keeping battery drain low, and the latter is a branded alternative to other wireless power standards like Qi. Qualcomm is so confident of the Toq's power efficiency and multi-day battery life that it includes no power button. The watch does all the standard smartwatch stuff: alerts, SMS replies with canned responses, Bluetooth headset compatibility, and basic bite-sized apps from Accuweather and Etrade. David Ruddock got a chance to play with the Toq back at IFA, and came away impressed, if not blown away. If you're considering a purchase of this unique and pricey device, you'll want to check out his impressions. You'll also want to mark December 2nd on your calendars - Qualcomm said that the Toq would be produced in limited numbers of under 100,000, so even if it's not a smash hit, it could become hard to find very quickly. 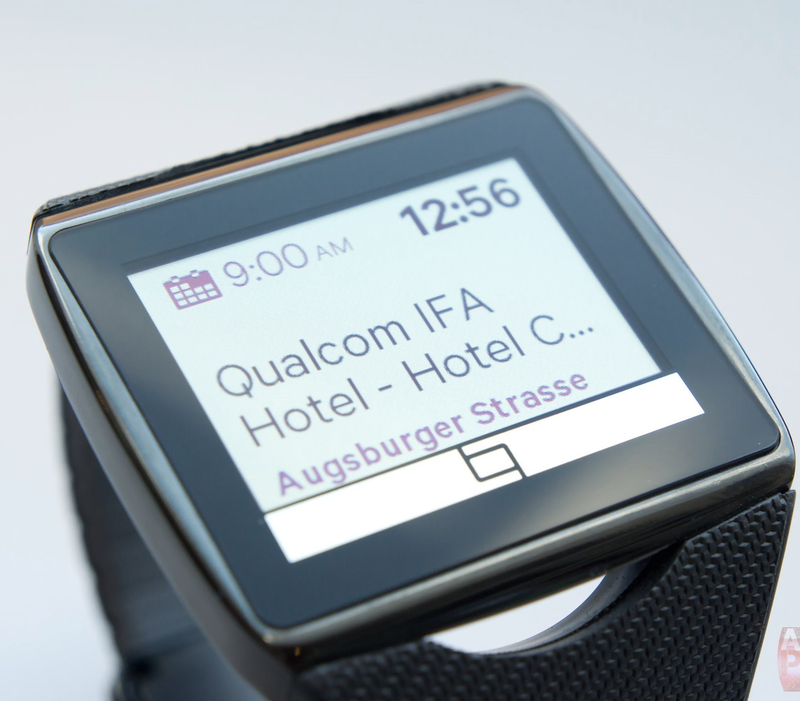 SAN DIEGO, Nov. 18, 2013 /PRNewswire/ -- Qualcomm Incorporated (NASDAQ: QCOM) today announced that its wholly-owned subsidiary, Qualcomm Connected Experiences, Inc., will make its Qualcomm Toq™ ('talk') smartwatch available to consumers on Cyber Monday, December 2, 2013. Toq is compatible with Android™ smartphones* and features proprietary Qualcomm MEMS Technologies, Inc.'s Qualcomm Mirasol™ display technology, providing an always-on experience with multiple days of battery life and visibility even in bright sunlight. Toq starts at $349.99 and will be available through toq.qualcomm.com. "The Toq smartwatch showcases key Qualcomm innovations, such as Mirasol always on low power display, AllJoyn interactions and WiPower LE wireless charging, that will define the emerging wearable category," said Dr. Paul E. Jacobs, chairman and chief executive officer of Qualcomm. "Like a traditional watch, Toq displays information at a glance with no on/off switch. And paired with a smartphone to receive notifications and content, it allows the watch to seamlessly merge our physical and digital lives. Leveraging these and other industry-leading technologies, we and our partners will enable new product opportunities and consumer experiences." Using Bluetooth® wireless technology, Toq allows consumers to accept/reject calls, view text messages and meeting alerts, and selectively receive notifications from their smartphone or AllJoyn-enabled devices directly from their wrist. Qualcomm will continue adding functionality to Toq through software upgrades. Consumers also will be armed with preloaded weather and stock applets from AccuWeather and E*TRADE. For more information about Qualcomm Toq, please visit http://toq.qualcomm.com.